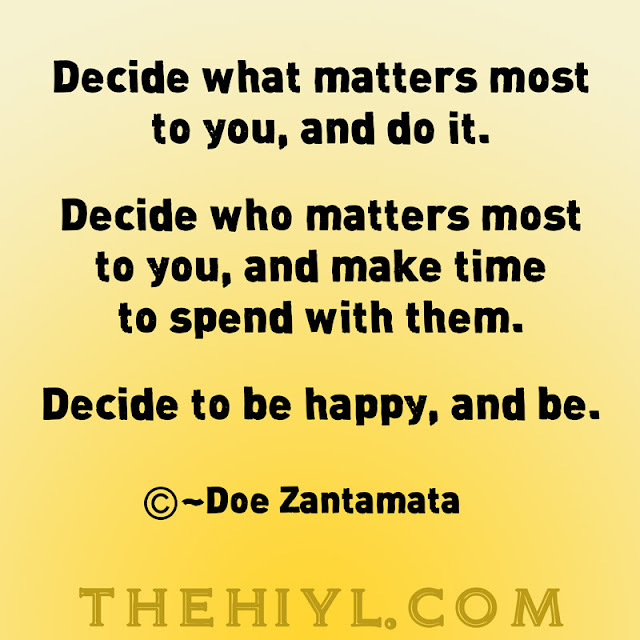 Decide what matters most to you, and do it. Decide who matters most to you, and make time to spend with them. Decide to be happy, and be.